With our late summer sale, you can enjoy a stay with us for up to 30% less*, when staying between the 22nd and 26th September inclusive. 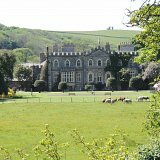 Whether you want to relax around the hotel, or get out and explore the beautiful sights and experiences of North Devon, we are in the perfect location for a wonderful break! We're close to many beaches, attractions, rolling Devon hills and are a just short walk into the historic port town of Bideford. For a discount stay in our luxury hotel before the rush of winter and Christmas begins, book your room today! Staff tip - hire a bike for a cycling sight-seeing experience on the Tarka Trail. The trail is just behind the hotel, meaning you're never too far away from the best North Devon has to offer. The area is wonderful in late summer as the trees and the surrounding scenery turn a wonderful mixture of greens, oranges and reds! *Prices are per person per night, based on 2 people sharing a Standard Room, Superior Room or Deluxe Room for 2 nights or more between the 22nd and 26th of September 2018 inclusive. 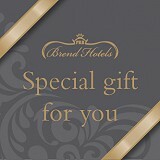 Up to 30% off based on a 2-night break staying in a Standard Room with Dinner, Bed and Breakfast. At Rosemoor gardens, you can enjoy 65-acres of beautifully planted flower beds, set within a pretty wooded valley. The gardens are home to plants from around the world. Events take place through the year, there's lots of shopping to be done and children's activities keep little green-fingers amused. 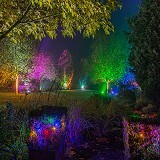 We look more at what Rosemoor offers in this news piece. 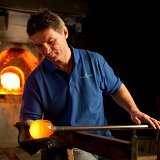 See the world famous range of Dartington Crystal glassware and try your hand at glass blowing whilst there. You'll learn all about the glassmaker's history, see their famous creations and shop to you drop for homeware and gift items. Then it's time for a tour of the factory to see the glassmakers at work, blowing and shaping glass to create pieces you may have at home.